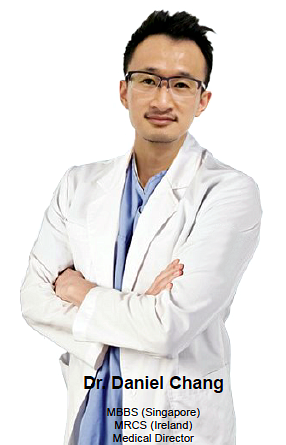 This page deals with the frequently asked questions on Korean Medical Aesthetic treatments. If you have more queries, feelfree to send it in. Who can’t have Dermal Filler Injections? Post plastic surgery patients, and those who havepermanent implants or fillers are also contraindicated for filler treatment. These can be relieved with a cold compress, paracetamol and arnica if you have no allergies. There is no evidence to date of any long-term safety concerns associated with hyaluronic acid filler treatment, as the body naturally metabolises the product over time. There are many Dermal Fillers in the market. It is vital to use trusted and reputable Hyaluronic acid Dermal Fillers. These are the most scientifically documented HA based dermal fillers in the world with comprehensive studies that support their safety and efficacy. I am Asian and have thin skin. Will I get lumpiness with fillers? Asians have a unique facial anatomy, so filler treatment is more focused on the central T zone. Lumpiness occurs when the area of injected lacks soft tissue volume. A combination of good placement technique in the right injection plane, appropriate filler type and amount would help you achieve good results. Undereye is a delicate area, so a small volume of extra soft filler would help. Good choices include restylane vital light and redensity 2. Marionette lines and nasolabial folds require more dynamic fillers. Good choices include Juvederm voluma and Perlane. I must stress, it is not so much the brand of fillers, but more the injector’s technique, and amount injected, that would help PREVENT lumpiness. A treatment with dermal fillers provides an easy way to enhance your looks. The result of a single treatment can be seen instantly and lasts around one year for facial treatments and around six months for the lips. With dermal fillers you will achieve a natural looking result that does not affect facial expression. Remember, your face changes over time, and treatments with dermal fillers allow you to control you looks naturally as you age. Dermal fillers are an injectable substance made from natural and synthetic material and have been developed for injection into the skin to restore its youthful appearance. Over 30 million people across the world have been successfully treated. The main type of dermal fillers in the market, are a soft gel consisting of stabilized, non-animal hyaluronic acid. The gel is tissue-friendly and closely resembles the hyaluronic acid that exists naturally in the body. It is long-lasting but not permanent. Is there a filler that can fill my cheeks, lips and nasolabial fold together? Fillers vary in density and propensity to attract water. Hence, there is no one size fits all filler that can be used throughout the face. Cheeks and nasolabial folds respond well to denser fillers. Lips are a delicate area, so a softer more dynamic filler is advisable to avoid an overdone look. IMHO, I would suggest going slow and focusing on your top area of concern first to give yourself the best result there, rather than using one type of filler in 3 areas. Bumps > 3 weeks after filler injection? Based on the time course, this is not common. Your filler must have been placed superficially. It is best to seek a formal review with your injector. A small measured amount of carefully placed hyluronidase can clear the bumps quickly. Hyaluronic acid is a naturally occurring substance found in the body that helps to hydrate and add volume to our skin. Natural hyaluronic acid is broken down by the body in one or two days so is constantly replaced. As we age this replacement mechanism diminishes so the moisturising and plumping effects of hyaluronic acid decrease. Hyaluronic acid is used for aesthetic treatments, and has also been used for injection into arthritic joints to aid movement as well as eye surgery. The injection process takes 15-30 minutes. The nose to mouth lines (Nasolabial fold). Lines around the mouth (Perioral lines and mouth corners). Natural lip enhancement and definition of the border. Also can be used for replacing soft tissue volume loss and scar corrections. Does dermal fillers treatment need pain relief? Will the procedure hurt? Generally, pain relief is not necessary when injecting into the skin to correct lines and wrinkles. Some people may experience the treatment as a mild discomfort. A local anaesthetic spray can be applied to the area for a more comfortable treatment experience. Dermal fillers are also available with the local anaesthetic 0.3% lidocaine included for a more comfortable experience. Our practitioner will be able to advise you on suitable anaesthesia for your treatment. Nope! You can have an appointment in your lunch hour then get right back to your normal routine. Millions of treatments have been performed with dermal fillers in the past. Product related reactions are rare. These reactions include redness, swelling, pain, itching, bruising or tenderness at the injection site. All skin injection procedures carry a small risk of infection. However, the range of dermal fillers in the market, are proven to last up to one year in (laugh lines) nasolabial lines and six months in the lips. After the initial treatment, follow-up sessions are normally recommended around every six to twelve months depending on the individual and the treatment. Is there anything I need to know before I have the treatment? We advise you to avoid using aspirin or other non-steroidal anti-inflammatory drugs, omega fish oil a couple of days before your treatment (unless they are taken for chronic medical conditions). Avoiding these medications will reduce the risk of bruising and bleeding at the point of injection. Ask our practitioner if you have any concerns. What do dermal fillers treatments involve? Start by making an appointment with our practitioner. During consultation be prepared to discuss your treatment expectations. After discussion, our practitioner will recommend which treatment is most suitable for you. After the consultation, and if you are happy to proceed, your practitioner will help you complete a medical assessment and you will need to sign a consent form before treatment can progress. The dermal filler is injected into the skin in small amounts using a very fine needle. The gel provides natural volume to smooth away the appearance of lines and wrinkles, enhance facial shape, or create fuller lips. Dermal fillers improve the elasticity and texture of skin, restoring and maintaining the skins hydro balance. The treatment is quick, typically taking about 15-30 minutes. Treatments with dermal fillers do not affect facial expression and the benefits can normally be seen instantly. To ensure an optimal and long lasting result, a top-up treatment is recommended six to twelve months after your initial dermal filler treatment. This will discuss during the consultation with our practitioner. And a follow-up appointment can be arranged. DO: Most people can benefit from dermal fillers treatment. If you wish to reduce lines and wrinkles, create more defined or fuller lips, define the contours of your face, or boost your skin’s vitality, for a healthier more hydrated skin tone. AVOID: Dermal fillers have not been tested in pregnant or breast-feeding women, Individuals with medical conditions that lower the body’s immune response or individuals undergoing therapy that is immunosuppressive may be more prone to infection by a skin injection procedure. During your consultation, our practitioner will carry out a full medical assessment and discuss your needs for treatment. Are there different dermal fillers products? There is a range of different dermal fillers designed to be used at different levels in the skin to meet your treatment needs and maximise your treatment results. Discuss with our practitioner during your consultation what type of products suits your needs best. No skin test is required as hyaluronic acid dermal fillers do not contain any animal-derived ingredients. Can dermal fillers be used if I have had laser treatment or a chemical peel? If you have recently had a light laser or chemical peel treatment, so long as there is no skin wound, you are good to go. When will I need another injection? Many patients like to book touch-up injections as well as repeat injections to maintain the effects of treatment. BOTOX® / DYSPORT is approved treatment to temporarily improve the appearance of both moderate to severe frown lines between the brows and crow’s feet lines in adults. The safety and efficacy of Dysport have been evaluated in clinical trials as well as in peer-reviewed articles in scientific and medical journals. Dysport contains tiny amounts of a highly purified botulinum toxin protein refined from the bacterium, Clostridium botulinum. Botulinum solution is a clear fluid that relaxes the facial muscles that cause wrinkles. It is utilized to soften forehead and frown lines, even brow lines, lines on the nose, smile lines (crow’s feet) around the eye. It can likewise lift the eyebrows. It can be utilized as a part of the lower face by a specialist injector as a Dermalift procedure to tighten and lift saggy skin. How does DYSPORT/ botulinum toxin work? DYSPORT/ BOTOX®Cosmetic targets MUSCLES causing frown lines and crow’s feet—the repeated muscle contractions from frowning and squinting over the years. Your specialist will inject these muscles with DYSPORT/ BOTOX®Cosmetic to temporarily reduce muscle activity. You will begin to notice a visible smoothing of your crow’s feet lines and frown lines between your brows. Will Dysport/ BOTOX® Cosmetic make me look unnatural? BOTOX®Cosmetic is a technique-sensitive treatment. You should not have a FROZEN look when you are treated by someone who is licensed, trained, and a medical expert in facial anatomy. It is important to talk to your specialist about the results you want from treatment. Does DYSPORT/ BOTOX® Cosmetic treatment hurt? Some patients report that being injected with BOTOX®Cosmetic feels like a pinch. Your specialist may use ice to numb the treatment area. If you are concerned about discomfort, your specialist may apply a topical numbing cream before administering your treatment. 1% of patients experienced eyelid swelling in the crow’s feet studies. Other possible side effects include: headache, especially in first time patients. Why do I have persistent frown lines? ​Persistent 11s/ frown lines can be divided into static and dynamic lines. Dynamic lines happen due to muscle activity. Static lines occur due to dermal skin thinning from repeated muscle movement, and in this case, frowning. If your lines are static, then you would benefit from fillers. Your specialist will discuss your treatment goals and perform a facial analysis to determine the appropriate treatments for you. The actual injection process takes about 10 minutes. Your cost not only includes the price of the product, but more importantly, the skill and expertise of the specialist administering your treatment. Dysport is a technique-sensitive treatment—look for someone who is licensed and trained and has experience treating patients with. You may begin to notice results within 72 hours for moderate to severe frown lines, with results lasting up to 4 months. For the crow’s feet area, your specialist will inject 3 areas of the orbicularis oculi, the muscle that frames the side of the eye. For the frown lines area, your specialist will administer 3 injections into muscles in your forehead—1 in the procerus muscle and 2 in the corrugator muscles. Do men receive DYSPORT/ BOTOX® Cosmetic treatment? DYSPORT/ BOTOX®Cosmetic has also been clinically evaluated in male patients. In clinical studies for moderate to severe frown lines, 17.5% of patients treated with BOTOX® Cosmetic were men. In the clinical studies for moderate to severe crow’s feet, male patients comprised approximately 10% of patients treated with BOTOX® Cosmetic. How often does DYSPORT/ Botox need to be done? The effects of Botox are somewhat cumulative. Initially it may be for every 3 to 4 months, but gradually, this extends to 5 to 6 months. Botox is still the gold standard for treating frown lines. Botox (or Dysport) treatment is used to relax overactive muscles and soften lines. They are commonly performed in the jaw muscles, forehead, between the brows, and for crow’s feet around the eyes. Results last between 3-6 months. Fillers (Juvederm, Restylane, Teosyal, Elravie, Radiesse, Sculptra, Ellanse) are used to refill and enhance your facial features, replacing lost volume, and filling deeper folds. Fillers are most often used in the nose, chin, cheeks, laugh lines, temples, lips. Results last between 6-12 months (for Juvederm/Restylane/Elravie/Teosyal/Radiesse) and 1-2 years (Sculptra, Ellanse). How do I know if I am suitable for botox? First question is to confirm that your lines/wrinkles appear on movement and not at rest. Botox works well for dynamic / movement lines, and effects last for 3 months and will not worsen your forehead lines after it wears out. It is safe with no permanent side effects and has been used in medicine for headaches and teeth grinding. It is a good treatment to prevent wrinkles from worsening and is one of the most common cosmetic procedures performed worldwide. Threads are absorbable barbed sutures comprised of a SUTURE material (PDO, PLLA). These barbs grab onto the sagging tissues beneath the skin, lifting and supporting them. What can be treated with a ThreadLift? Lift mid and lower face, jawline and neck soft tissue, and to smooth aging skin. Good candidates are men and women ranging in age from the thirties to the sixties who have mild to moderate drooping in the brow, face and neck. Patients should be physically healthy and realistic in their expectations. This procedure is ideal for those looking to enhance their appearance without having to undergo a full face or brow lift. How is the actual ThreadLift performed? For a ThreadLift, small surgical sutures are used to lift and support drooping areas of the face, brow, cheeks and neck. They are a barbed suture product with tiny, teeth-like cogs. They are inserted beneath the skin using a long cannula. Once inserted, the threads grab onto the soft tissues, providing a support structure that lifts and repositions the tissues. The cannula is then removed and the end of the thread is pulled. How long does the actual procedure last? A ThreadLift typically takes between thirty to sixty minutes to complete. This includes the numbing process with LA. Is anesthesia used for a ThreadLift? Local anesthesia is typically used for the procedure. You will not need sedation. The ThreadLift involves minimal pain or discomfort. The procedure itself is typically performed using local anesthesia. After the procedure, ice compresses are also recommended during the first twenty-four to forty-eight hours. What is the recovery like after a ThreadLift? In general, patients will need to avoid activities that risk dislodging or otherwise causing trauma to the threads for the first three weeks after the procedure. Smiling widely, laughing stretches the thread, hence some discomfort may be noted. Can the threads be seen after the procedure? Threads are inserted beneath the skin. Because they are also clear, they cannot be clearly seen even when inserted beneath thin or fair skin. ThreadLifts are very safe, minimally-invasive, non-surgical procedures. The threads themselves are comprised of a polydiaxanone, or PLLA material. This material has been used in other medical products used in the body for years and has been proven safe and effective. Complications rarely occur and are typically easily corrected. Are there any risks associated with a ThreadLift? Complications rarely occur following a ThreadLift and most are temporary and can be corrected. Common side effects are skin dimpling which improve within a month. How much actual lifting can the ThreadLift achieve? In general, patients can often achieve a 30% improvement after a ThreadLift. When are the results of a ThreadLift be apparent? The results of the procedure are immediately apparent. Are the results of a ThreadLift permanent? The threads themselves are non-absorbable and will not dissolve. It can last for up to a 1 year. The length of results will vary from patient to patient. Additional threads ARE RECOMMENDED in some cases as top up to further optimise the result. Essentially, lasers can be divided into 2 main categories, non ablative, aka pigment lasers, and ablative, aka resurfacing lasers. It is a specific wavelength of light – 1064nm that is absorbed by melanin and water, hence removing brown spots and generating collagen in your skin. What can pigment lasers treat? What are the benefits of pigment laser treatment? Lightening of your pigmentation (freckles, sun spots, acne marks, tattoos) in general from 60 to 90%. Pigments absorb the laser energy. These pigments gradually shatter into smaller fragments and are naturally cleared away by the body. Control of pimples and acne, reduced breakouts and improved oil control. Laser energy can aid in oil control via shrinking oil glands, eliminate P-acne, which is the bacteria that cause pimples and acne, and reduce further breakouts. Brightened, glowing and radiant skin. The laser helps even and lighten your skin tone and makes it brighter and clearer. It cleans the face, removes dead skin cells, oil, impurities. How does the laser treatment feel? The laser energy feels like many tiny toothpicks on your skin which is very tolerable. What are the side effects of laser treatment? Laser toning: Generally leads to mild redness, if any. Spot treatment: May result in tiny swelling or brown spots for 3 to 7 days after the treatment. Strictly no, which is the beauty of this laser. A mild facial flushing might be present for 15mins after the laser. No change in your lifestyle whatsoever. What are post laser instructions? Avoid harsh products, sun exposure for the next 7 days. Also apply a good sunscreen and moisturiser. Fractional laser treatments create micro-thermal tunnels deep into the skin. The laser ablates (or vaporizes) the microscopic columns of skin while leaving the surrounding tissue untreated. The body’s natural healing process creates new, healthy collagen to replace the columns of affected tissue. Once healed, skin texture improves and lines soften. The results are gradual and people can continue to see improvements in their skin for several months after their last fractional laser treatment. Basically, men or women with skin tone and texture issues. Those who have mild to moderate signs of skin aging, fine lines and wrinkles, and mildly lax skin tone. Non-uniform skin tone and color can be corrected as well as textural problems such as scars from acne. What are the benefits of fractional laser resurfacing? Safety: The fractional array of microbeams is gentler than traditional ablative skin resurfacing, and does not lead to bulk damage to your skin. Comfort: Each tiny microbeam focuses on a small area, which re-epithelializes within 24 hours. This minimizes the risk of scarring, infection or long-term pigmentation changes. Downtime: Downtime is controlled, on average 3 to 5 days. Depending on the intensity of treatment, most fractional laser patients can return to normal activities within days. Fractional Skin Resurfacing can feel like A MILD sunburn. It may be slightly uncomfortable varying on each patient’s pain tolerance. There is minimal downtime with Fractional Skin Resurfacing. You can experience redness and swelling to treated areas for up to 5 days. What can you expect after a treatment? Immediately following the treatment, the skin will be red, swollen. These effects are normal and indicate a successful treatment. The swelling and redness is temporary and will improve in days. As the micro-tunnels heal, the skin will feel dry and begin to flake. You may also experience a bronzed look once the redness subsides for approximately 3-5 days. The bronzed skin will eventually flake off revealing fresh new skin. What are the complications of laser resurfacing? Milia, which are small white bumps, may appear in the laser-treated areas during healing. These are temporary. Cold sore may occur, especially after laser skin resurfacing around the mouth. Hence if you have an active cold sore, we will delay the treatment. Patients are encouraged to sleep on an extra pillow at night to help reduce the swelling after laser resurfacing. Cold compress application is also helpful in the first 24-48 hours. What can medical chemical peels do? – The most common ones use glycolic, salicylic or other hydroxy acids or TCA (trichloroacetic acid). Light peels can be repeated every 4-12 weeks. What are the side effects of medical chemical peels? Temporary pinkness and sun sensitivity for a week is normal. Some patient may experience temporary discolouration for 4 to 12 weeks. What is a medical chemical peel treatment like? First the solution is left on your face for a fixed period of time, usually minutes. You may feel a light tingling sensation. The peel is then washed off. Your skin may get pink and will start to peel from 1-3 days, lasting for 2 to 5 days on average. With a light peel the peeling can be microscopic. How much do peels cost? These usually range from $150 for a light peel. Home peels are lighter versions of medical grade peels which can only be performed in clinics. Home microdermabrasion kits serve the purpose of simple facial rejuvenation through removal of dead skin and surface impurities. It is a safe and zero downtime treatment and helps with giving you cleaner and clearer skin. There are many such products in the market so buyers beware.